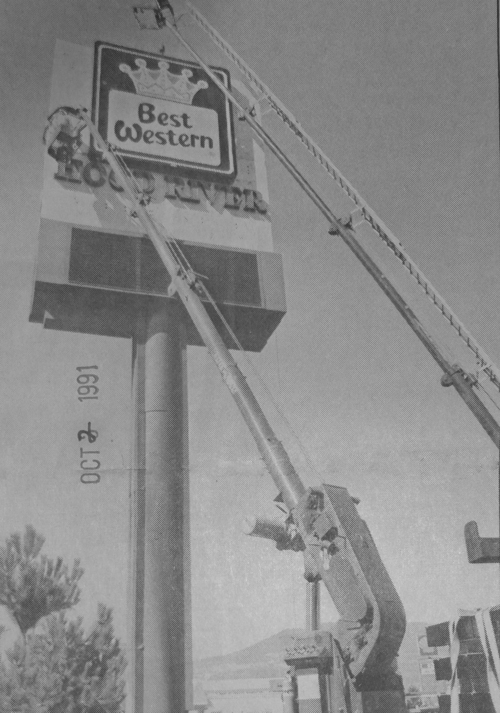 In 1967, an Oregon destination hotel was born. The Hood River Inn endures today as one of Oregon's most popular, hospitable lodging-dining establishments, turning 50 years old in 2017. To celebrate, the Inn plans commemorative events throughout the year. High Energy dance band from Portland. April 25 - April 30	Riverside's "Throw-back to the "60s"
Evening menu specials with 1960's "throwback" pricing were available at Riverside from 4 pm till 9 pm that week. April 29	"Flashback to the "60s" party in the "Gorge Club"
We travelled back in time with the tunes of Hit Machine, sippped classic cocktails and nibbled hors d'oeuvres. 1960s era attire was everywhere. 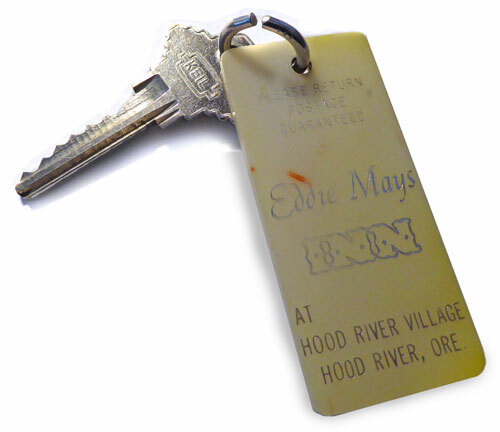 On April 29, 1967, the Eddie Mays Inn original hotel-restaurant complex opened as a 64-unit, two level motel, two level restaurant that incorporated a lounge, main dining room, 24-hour coffee shop, two banquet rooms, and fruit grower's sales building. Its opening attracted thousands of people, for tours of what would be a premier destination for lodging, dining, business and social events in the Gorge. 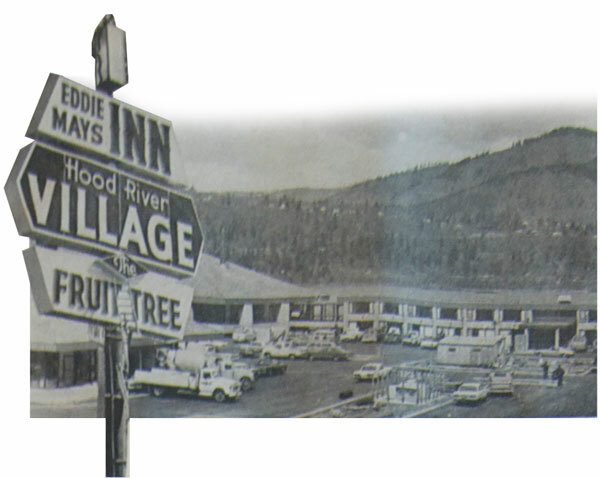 The hotel became the Hood River Inn in 1972, and the Best Western Hood River Inn in 1991, with various name iterations in between, yet only three ownerships transpired in five decades. D.M. Stevenson Ranch of White Salmon, WA, acquired the property in 1989, soon after the construction of the West Wing and Marketplace. General Manager Chuck Hinman, with a solid resume of hospitality management experience in the Portland and Seattle areas, has managed the complex since 1990. The property has transformed with continual improvements to a complex that includes two guest room wings plus Riverside Suites, Riverside restaurant and Cebu Lounge, eight meeting rooms, numerous amenities and nearby commercial buildings. The most notable recent improvement is the new pool, indoor and outdoor spas, and fitness facility constructed in a stunning location on the Columbia River shoreline. In 50 years, the Hood River Inn has more than tripled in size by many measures, into a 194-unit hotel, vibrant restaurant and lounge, providing 12,000 square feet of meeting space. Some of the hotel's mid-nineteenth century "modern" design character remains, but the operations are firmly planted in the hospitality standards of today. The Best Western Plus Hood River Inn currently ranks as one of the best hotels in Oregon*on top review site, TripAdvisor, for "Best Value + Top Rated." It's among the top five most-reviewed hotels in the state on the same site. Its many awards and honors are evidence that, in its 50-year history, the Best Western Plus Hood River Inn has become one of the best destination and convention hotels in Oregon. ©Copyright 2018 - Best Western Plus Hood River Inn - Each Best Western® branded hotel is independently owned and operated.